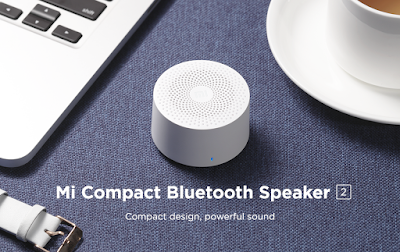 Xiaomi has launched the Mi Compact Bluetooth Speaker 2in India. It has a compact design measuring just 50 x 32mm and weighs just 54 grams. It has neodymium magnets for a clear sound, has a parametric speaker mesh cover offering an aesthetic look, and also comes with a built-in microphone for hands-free calling when connected to a smartphone over Bluetooth 4.2. It has a status indicator on the front, power button on the bottom and also comes with a strap hole. Xiaomi Mi Compact Bluetooth Speaker 2 comes in Silver color priced at Rs. 799 and is available from Mi.com.